Say goodbye to that bird's nest called home and make one of your own! In our 20s, we are catapulted into a new sense of self: we get our first job, get over old friendships, dress a little more mature than we did in our teen years, and altogether just take matters into our hands, like finally moving out of our childhood home. Once you’ve found the perfect place in the best (and safest!) location with a price you have agreed to part with monthly, have someone you trust who is well-versed in real estate to go over your contract with you. Be sure you understand all payment terms, all penalty fees, and things you can/can’t do (like paint your walls or other renovations). Also, take note that monthly fees aren’t all you need to save up for. There's also the advance and deposit for your first month, and utilities that you have to pay on a regular basis. Now it’s time for the fun stuff. 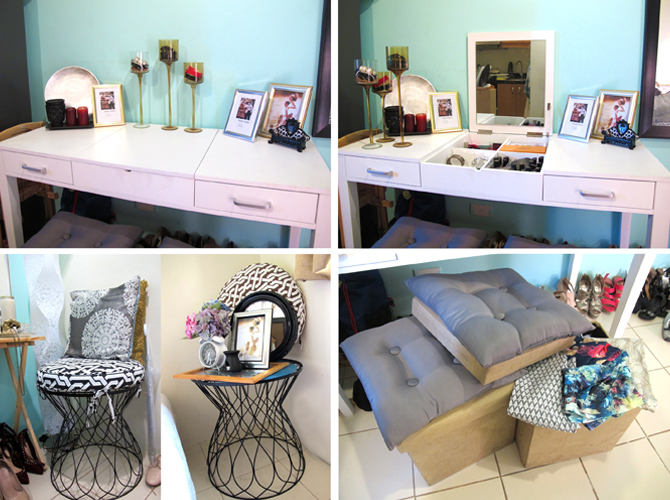 Moving into your own new empty space usually means one thing to us girls: it’s time to SHOP! But before you buy everything you see, come up with a design plan first. Visit interior design blogs or even social media platforms like Pinterest, Tumblr, or Instagram for some design inspiration. Pin down a theme and use that as your guide in creating your new picture perfect home. Shopping can be overwhelming, but remember that you don’t have to fill up every nook and cranny of your apartment immediately. Homes are filled with furniture and memorabilia that are collected over time. 3. 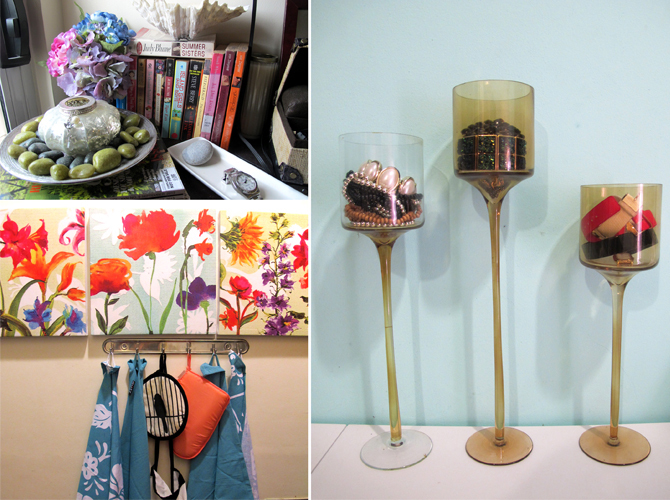 Accessories before, home décor now. To save up on some cash, be smart about your décor. Panjee utilized her bracelets and bangles as décor by placing them in stylish glass containers. This helps keep your things organized and at the same time, adds some flair to your apartment. Panjee also plays around with color to dress up areas in her home by choosing colorful aprons and oven mittens and strategically placing them under floral print art pieces. This floral theme is carried out in another corner of her home by pairing artificial flowers she got at a local department store with colorful books, shells, and rocks from past travels. 4. One furniture piece, endless possibilities! Multifunctional pieces are key. They are great space savers, perfect for those moving into studio or one bedroom apartments, and good investments for those just starting out. Panjee invested in a table that she could use as a desk, a dining table, and get this, a dresser! For those moving into small spaces, invest in pieces that can serve as storage units, such as Panjee’s chairs which store her cute printed bottoms. 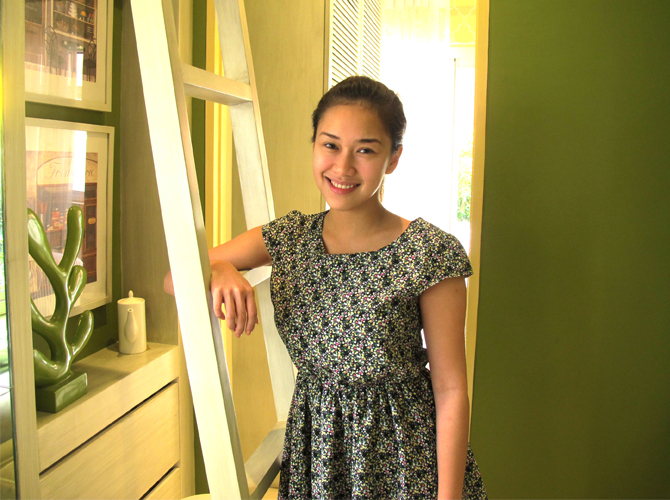 Designing your place is one thing, maintaining cleanliness while living on your own is another. To help you with this, Panjee suggests that you assign areas for each item, such as shoes or accessories. 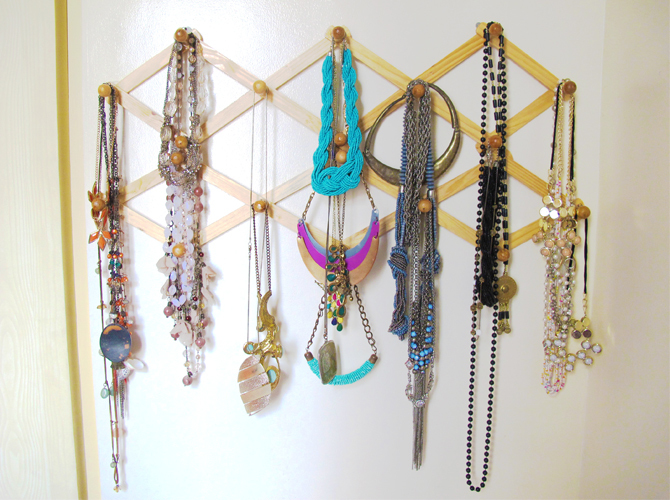 Tip: Use a coat hanger that you can get at a local department store to store necklaces. It adds a fun element to an otherwise white and empty wall. Follow these steps to help make moving out easier for you and your wallet!